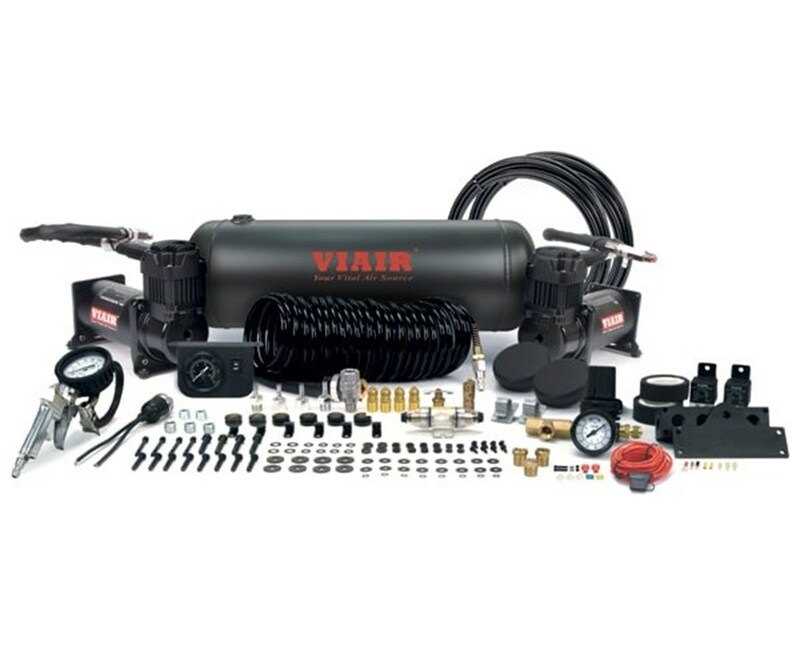 The Viair Dual 400C Onboard Air System is a high-performance air system ideal for airbag, air horns, airlifted suspension system, and wheels. It can also be paired with a variety of essential tools for pneumatic applications. 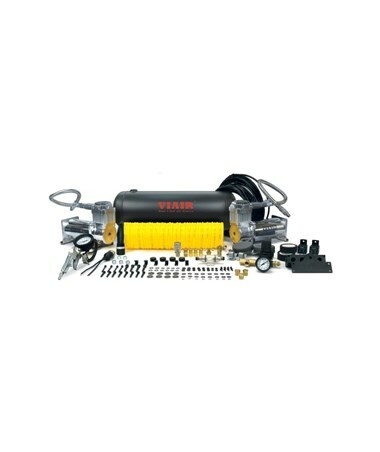 Equipped with high powered dual 400C Viair compressors, it can inflate tires of up to 40 inches. This air system comes complete with a 2.0 air tank to accomplish various tasks on the go. The Viair Dual 400C Onboard Air System works quickly and efficiently with a maximum working pressure of 150 PSI and a flow rate of 4.55 CFM. It provides a 33% duty cycle and can run continuously for 20 minutes. This compressor runs with a permanent magnetic motor with a 12-volt DC system and has a maximum amp draw of 59 amps. Designed with an automatic thermal overload protector, it protects the air compressor from overheating and causing permanent damage. 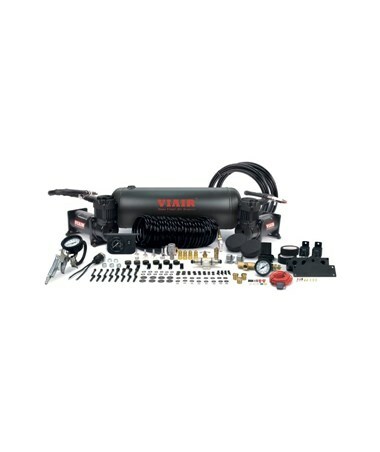 The Viair Dual 400C Onboard Air System is permanently lubricated and maintenance free. The high-quality materials give this air system an IP67 rating, making sure it performs exceptionally even in harsh climatic conditions. It comes with all the vital parts such as inline pressure regulator, two 40-amps relay, tire inflation gun and dash panel among others. The Viair Dual 400C Onboard Air System is available in two different colors. Please choose from the menu above.